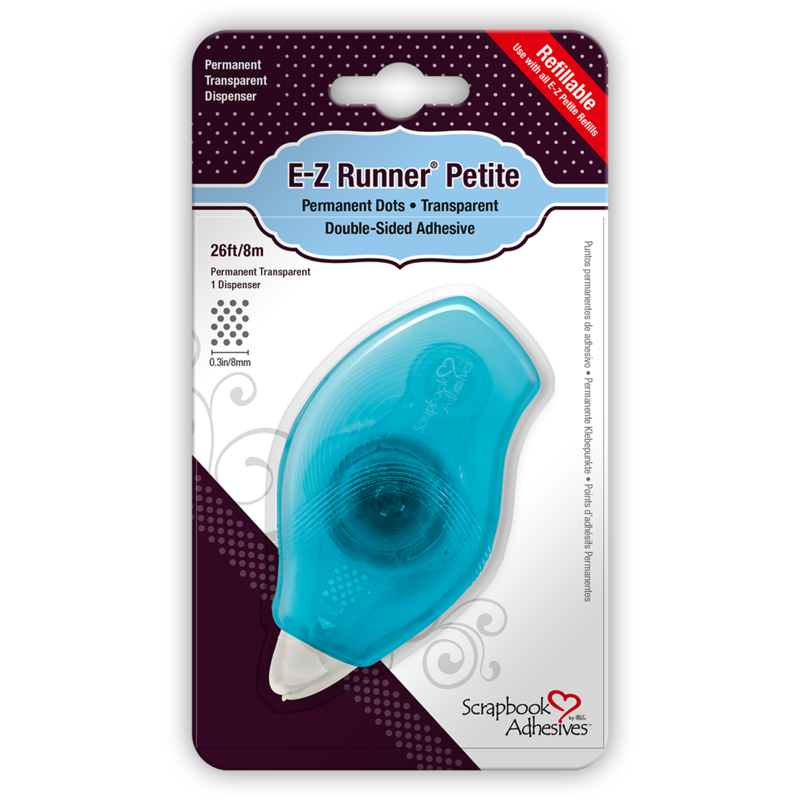 The Double-Sided Tape Runner Petite Dots Permanent is a high value adhesive in a small size. It’s ergonomical and petite shape are easy to hold with ridges and dimples for finger placement. Drop in refill cartridges allow for 1-step refilling with no winding or threading.